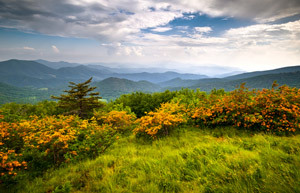 Are you interested in living in Blowing Rock, North Carolina? Is your favorite pastime putting on the green? The Mountain Group at Premier Sotheby’s International Realty has a real estate solution for you. 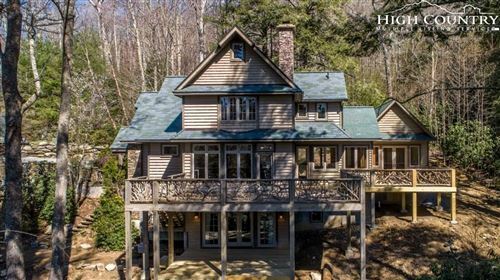 We feature a comprehensive list of area properties, many of which afford easy access to Blowing Rock Country Club, a place of interest for you. Imagine a new life that includes a beautiful home, an inviting hometown, and a membership at a friendly country club. Whether you have been a part of a golf club family before or are looking to step up your game, Blowing Rock Country Club will be everything you expect it to be and more. It is tucked within the Blue Ridge Mountains and boasts manicured landscapes and stunning surroundings. It’s a full service establishment that includes golf, tennis, golf croquet, and social activities, not to mention, one that serves as a wedding or event venue. It is committed to welcoming members of all levels with charming hospitality and affords them superior golf and amenities. What better way to make a new place feel like home than by joining a country club? Especially if you’re an avid golfer, and even if you aren’t, the gratifying involvement goes beyond 18 holes. Blowing Rock Country Club provides the picture-perfect arrangement, one that you’ll enjoy as long as time allows, and it can start as soon as you desire. If you plan to invest in a home here first, we’ll be happy to guide you in that endeavor. We specialize in representing buyers of the High Country housing market. It’s rewarding sharing our back yard with others, seeing the area through an outsider’s eyes, and enlightening them with our view. Let’s take a look at the local houses for sale near Blowing Rock Country Club to see what opportunities exist. The possibilities are endless and your future is just a day away.